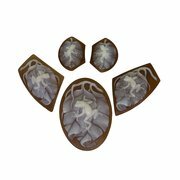 Frog on leaf w/holes, 2 pc cameo set, 23mm trapezoids. Registry #1369/1383. Sold with a Certificate of Authenticity, Eco-friendly, Fair Trade. The Queen's helmet shell is considered the best for cameo carving, and that is the only sheel we use for Rainforest Design® cameos. 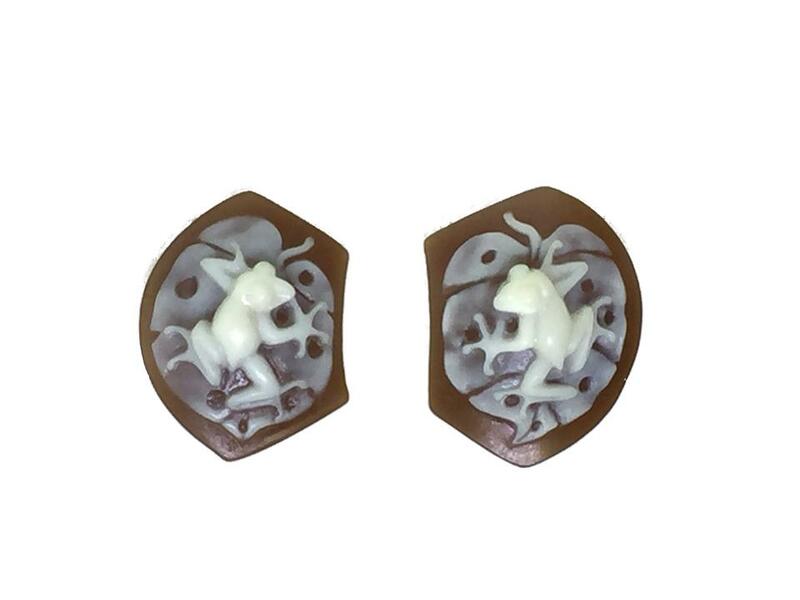 This pair of cameo frogs resting on a leaf gives us a clear example of why this shell is considered the best. The color contrast between white against the dark brown background is excellent.